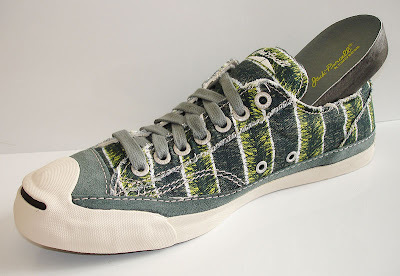 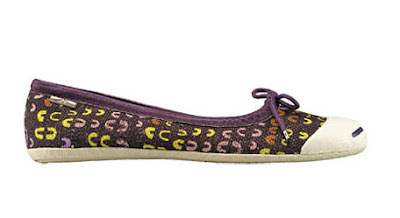 Of course, all readers of Elle Deco know that 20C design legend Lucienne Day was a pioneer in the use of abstract designs in textiles, but I just found out (about two years after the fact) about her collaboration with Converse that resulted in a range of limited edition shoes from her classic prints. 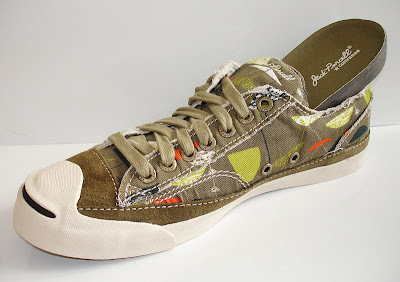 Me, I'd like them in a pair of high-tops, just so that I could see more of those amazing designs at the end of my shapely pins, but perhaps I shouldn't be so fussy, and should just cough up between $25 - $60 for a pair off eBay. 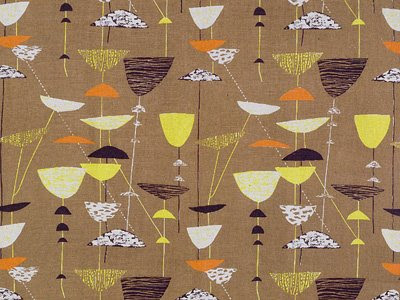 Check out other designs by Lucienne Day, reissued by the Centre for Advanced Textiles.